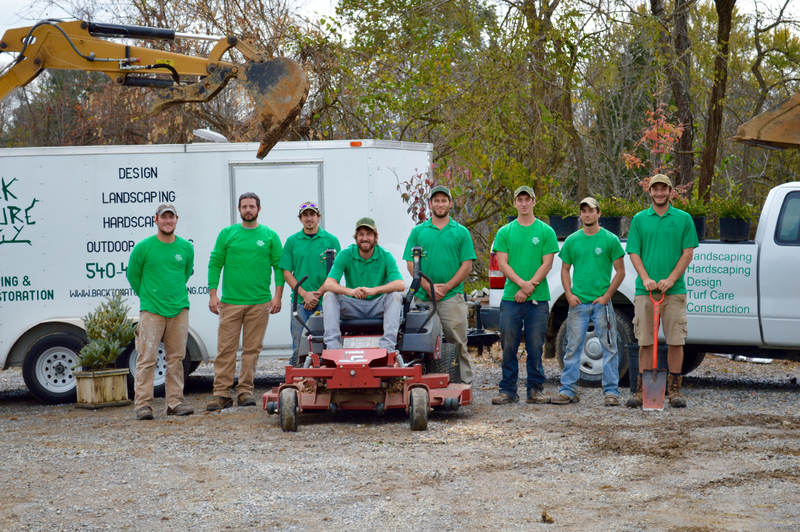 Back to Nature Landscaping & Construction is the new standard of excellence for residential and commercial landscape maintenance and horticultural services in the New River Valley. Our skilled technicians take great pride in transforming your yard or property, and their attention to detail will stand out in the final results. We also offer easy-to-budget property maintenance packages to bundle any or all of the above services you need into one easy monthly payment over an extended period. 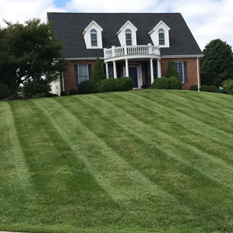 Take a look at some of our lawn maintenance and landscaping projects. Often it’s the most routine services such as regular mowing, edging and fence line trimming by skilled technicians that can help make your lawn stand out. Whether you’re heading out for vacation and want us to keep your lawn looking great while you’re gone or you want us to handle your mowing for the entire season, you can be confident that our crew will show up on time, work efficiently, and leave behind a great looking yard. Contact us today for a free mowing quote or check out our maintenance programs to see how you can bundle this service with others that might work for your needs and budget. Local soil conditions in the New River Valley don’t contain the necessary nutrients to provide the type of rich, healthy and sustainable surface that beautiful turf requires. Our lawn care program includes scheduled fertilizer applications and weed control treatments on top of routine soil sampling to determine the most beneficial products to use on your property. We analyze the soil’s fertility, ph level and micro-nutrient make up and then treat your lawn accordingly. Treatments are spread out over the course of the year and are broken out into six individual applications with balanced blends of fertilizer, including a special organic blend for the summer to build soil structure and chemistry. Contact us today for a free turf care quote or take a look at our maintenance programs below to consider additional services that may fit your needs and budget. If there’s one area of your yard that can quickly get out of control, it’s flowerbeds. From invasive weeds to overgrown plants and leaves that collect under and around your bushes and shrubs, beds can go from beautiful to eyesore in no time flat. Allow Back To Nature Landscaping to reclaim or even reconstruct your flower beds. Our goal is to provide you with attractive beds that require little maintenance. Of course, all plants need to be cared for over time, so you can easily add bed care services like pruning, mulching, leaf clean up, tree removal and flower rotation to your custom maintenance program and we’ll take care of all of it for you. Bed care is just one of the many services that you can bundle into a customized maintenance program. Scroll down to consider additional options and contact us when you’re ready for a free quote. 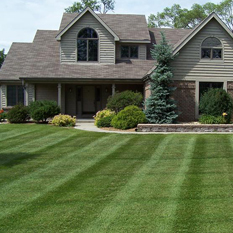 Your yard or property is not a carbon copy of your neighbor so why should we expect you both to purchase the exact same turf care plan from us? Our maintenance programs are structured around your needs and your budget. Ask around and you’ll find that we do business a bit differently than most landscaping companies. Our well-trained technicians have earned a reputation for prompt, professional service through their commitment to our standards of excellence and quality work. Your satisfaction determines when a job is complete – if something isn’t right, we’ll fix it until it is. 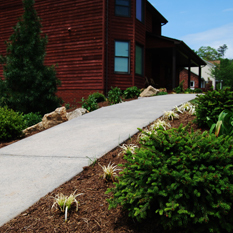 Honesty, integrity and professionalism are the values at the foundation of Back To Nature Landscaping & Construction. We understand that it’s hard to find a contractor you can trust, that’s why we take every opportunity to demonstrate what separates us from the rest seriously. Allow us to show you what quality service really looks like. You decide what services you need, or if you’re not sure, tell us what your budget is and we’ll offer suggestions that deliver the greatest value.